Metro Exhibits has been a proud supplier of a wide range of services for exhibitors and companies who participate in JCK Las Vegas. 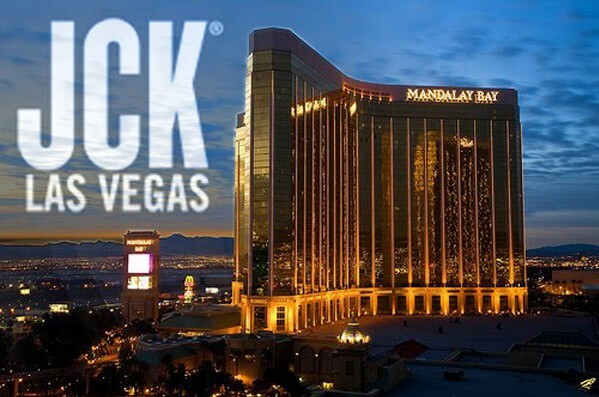 Metro Exhibits provides white-glove, concierge level trade show services for businesses and organizations who are involved with JCK Las Vegas and other trade shows, expos, and conventions like JCK Las Vegas. If you are an event organizer or business, Metro Exhibits provides a wide range of services that will meet any need including trade show display design, rental, sales, logistics, installation, and printing. We have 68,700 sq.ft. of manufacturing and storage capabilities throughout the country including in New York City, New York, Orlando, Florida, and Las Vegas, Nevada. We make sure that you never have to worry about a single aspect of your trade show experience. Las Vegas is THE city to have an event, trade show, expo or convention and it is home to a large number of convention and expo centers; the Mandalay Bay Convention Center is one of the best in the world. The Mandalay Bay Convention Center can support conferences, expos and trade shows with up to 30,000 attendees. There is over 1,700,000 sq.ft. of gross meeting and floor space. When it opened, the Mandalay Bay Convention Center was the 5th largest convention center in the United States. The MBCC provides ballrooms, meeting rooms, open spaces and an event center with 12,000 seats. The Mandalay Bay Convention Center is located on the Southern End of the Las Vegas Strip and all of the famous hotels and casinos that go with it including The Wynn, The Venetian, Caesar’s Palace, The Bellagio, and the Mirage. However, the Mandalay Bay Convention Center is part of the Mandalay Bay Resort and Casino and comes with a variety of amenities of its own including Shark Reefs and an 11-acre beach! Contact Metro today to learn more about trade show exhibit rentals, custom exhibits and other trade show support services in Las Vegas, Nevada.